Amherst was settled from the west. It lies among the lower foothills of the Green Mountains, east of old Hadley, of which it long formed a part. It took one hundred years for the tide of English immigration to get less than one hundred miles inland from the shores of Massachusetts Bay to Amherst. The movement, like that of the Pilgrims through Holland to Plymouth Rock, was roundabout, — first southeastward, into the State of Connecticut; then northward, along the river to Hadley; and finally eastward, involving the entrance to Amherst from the west. The original settlers, coming mainly from Hadley and from Hatfield, then a part of Hadley, were nearly all the descendants of the earliest Hadley settlers. 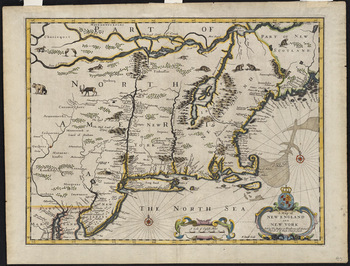 Their ancestors, with few exceptions, had come from England to Massachusetts Bay between 1631 and 1635, and finding near the shore less land and less freedom than they wished, sent explorers, in 1633, by land and water to the Connecticut River. In 1635 and 1636 they moved through the wilderness to the fertile valley, settling at Wethersfield and Hartford. There they remained for almost a generation, until religious disputes in 1659 and 1660 led a part of the body to move to Hadley. Owing to the incorporation of South Hadley as a district in 1753, the name "East Hadley" was changed to the "Second Precinct of Hadley," and six years later, just a century after the founding of Hadley, the "Second Precinct" was made a district. Governor Pownell, in signing the act of incorporation, February 13, 1759, gave it the name of Amherst, in honor of General Jeffrey Amherst, prominent at that time as the commander of the memorable expedition against Louisburg during the French and Indian War, and still later as commander-in-chief and field marshal of the English armies. In 1776 General Amherst was created a baron. The new district held its first legal meeting March 19, 1759. From that time on, the spirit of independence and thrift seemed to take a firmer hold upon the people. They toiled diligently for the betterment of their estates, laying aside the generous store of English money that was to prove so useful during the hard times of the approaching war. Read a letter petitioning for the name of Amherst to be bestowed on the new district. —Adapted from the Handbook of Amherst, 1-16. Hitchcock, Frederick Hills. Handbook of Amherst. Amherst, Mass. : Frederick Hills Hitchcock, 1894. Available at the Jones Library or on GoogleBooks.